Angels are just about the sweetest people you'll ever meet. They spend their days doing good deeds for people and playing great songs on their harps. From enjoying their days looking upon us to reporting for duty at a moment’s notice, angels are busy, too. Your little one may not quite act like an angel all the time, but now they can at least look like one! These angel wings will transform your child into a sweet angel for Halloween, school plays, or holiday pageants in no time at all. 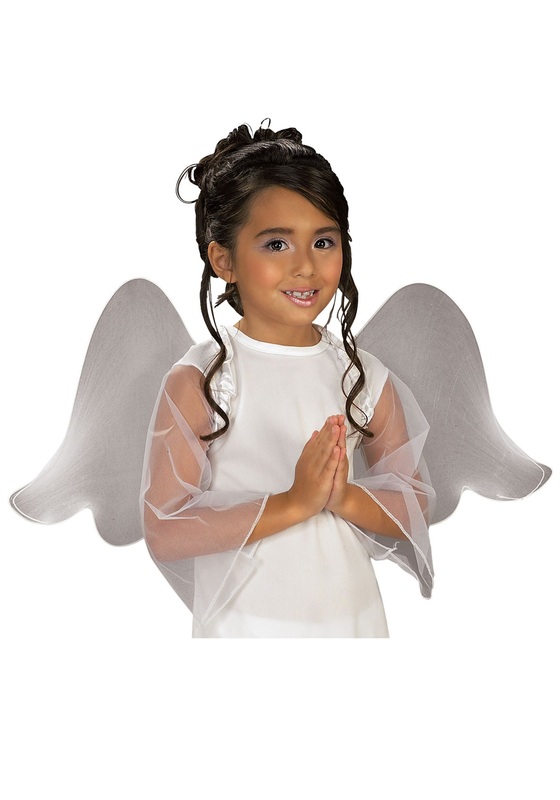 These white angel wings are inexpensive and high-quality, which makes them the perfect accessory for any of our kid’s angel costumes. Don’t have a full angel costume? No problem. These wings can take any white dress or outfit and turn it into an angel costume for a quick and affordable look that will work for your child’s needs this season.